(1) Assessment and planning: at the initial consultation, after discussing possible alternatives, Dr. Elmanharawy will assess the feasibility of providing implant treatment. X ray may be taken and preliminary models may be prepared. 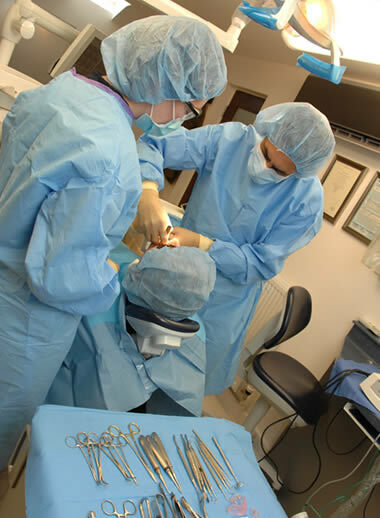 A written plan is then formulated detailing the sequence of treatment and associated cost.
.(2)	Implant placement: a relatively simple minor surgical procedure that must be performed in a sterile environment under local anaesthesia and if required, intra venous sedation. If after assessment the underlying bone is judged to be deficient, a number of options are a available for bone regeneration. 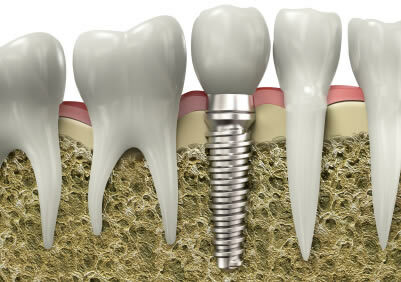 This may be carried out prior to, or at the same time as, the implant placement. (3)	Integration period: In certain circumstances surgery may also be followed by immediate placement of a crown or denture onto the Implants placed. This is applicable in cases where the bone is stable and is usually for patients who have had teeth removed within the last 6 months. 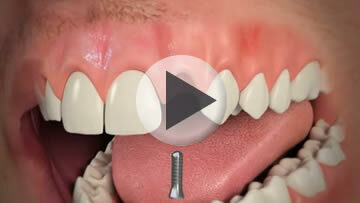 Implants can be placed immediately after extraction – as long as the extracted teeth did not exhibit signs of acute infection. 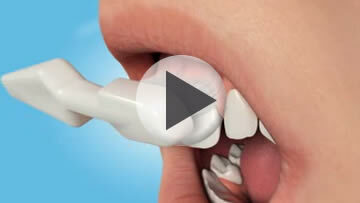 Most of these details will be available to you after your initial consultation and X-rays or a CT scan has been taken. 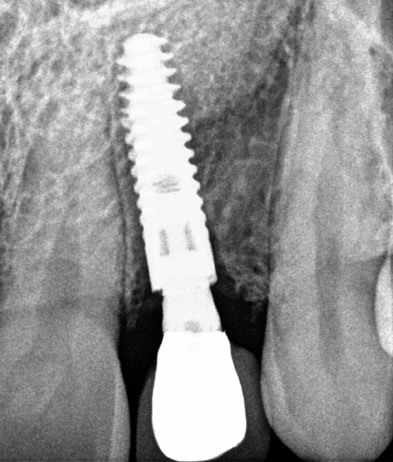 If immediate placement is not possible a period of three months or more may be needed for the implant to fully integrate before loading. 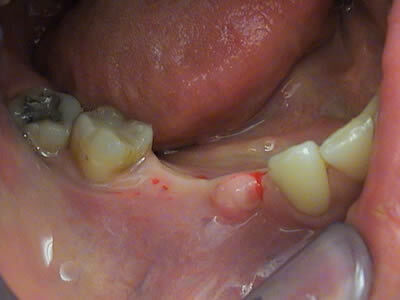 The patient’s own denture or in some cases a simple adhesive bridge can be worn during this healing phase. 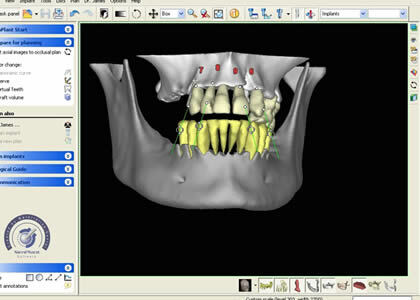 (4)	Restorative Phase: Once integrated the implants may need to be uncovered and can be brought into function with a variety of restorations, ranging from a single crown, small or large bridge, or if preferred, a removable over denture c lipped to the implants. 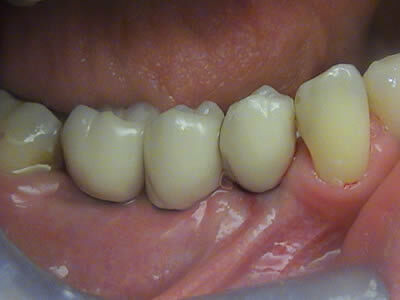 This stage involves taking impressions and final fit of the ceramic crown, bridgework or denture.